Until very recently, controlling a port meant power. In fact, this is still the case in many ways considering that about 90% of world’s trade is still carried by the international shipping industry. Long before the invention of the airplane – and before that, the train and the truck – shipping was the method of transport. European powers have been obsessed with finding trade routes to Asia for hundreds of years (inspiring the famed Columbus voyage in 1492… as well as others), going so far as to construct the Panama and Suez canals. During the 15th and 16th centuries, the Russians (who occupied central Russia at the time) had control only of a few northern (and frozen!) ports. Baltic ports were controlled largely by the Lithuanian Empire, or by powers centralized in Riga and Tallinn. The Hanseatic League as well controlled much of the trade in North, Eastern and Central Europe. Russians had staggering amounts of natural resources – but few ports, thereby instigating the struggle for control of the Baltic Sea. Though Gdansk, located in northern Poland on the Baltic Sea, was not controlled by the Russians, other powers (German, Lithuanian, Teutonic Knights…) have their histories mingled with that of Gdansk. Indeed, the Baltic city has been an influential port for nearly a 1,000 years! Today, the Polish city is still an important port, not to mention a hub for Poles on holiday in search of the sea. It is also one of the best places in the world to purchase amber! 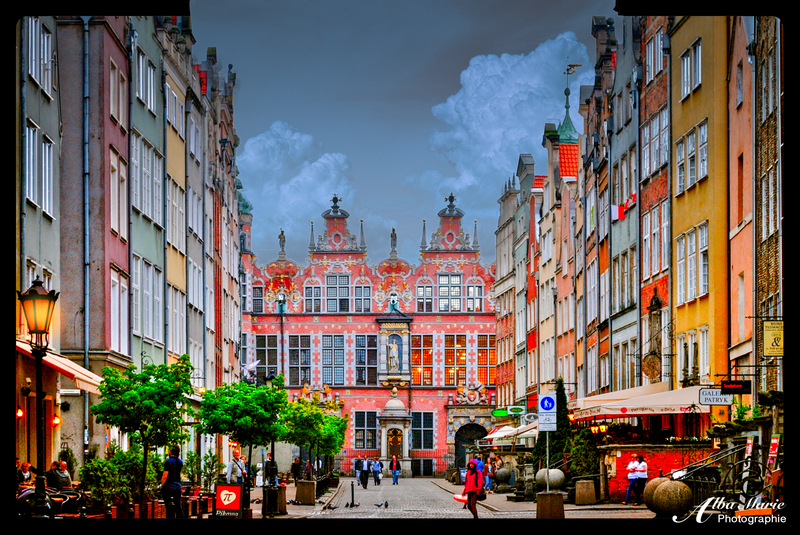 Pro tip: Some of Gdansk’s most photogenic and picturesque spots is in the Long Market, bookend-ed with the Green Gate (that’s actually pink…) leading to the waterfront on the other side. Russia does not have the best reputation in the world–and Vladimir Putin is not helping. The current conflict, mingled with the administrative difficulties in visiting Russia is a crying shame because St Pete was once one of Europe’s–and the world’s–top cultural centers. And it still could be, if only they’d let it shine they way it is meant to! 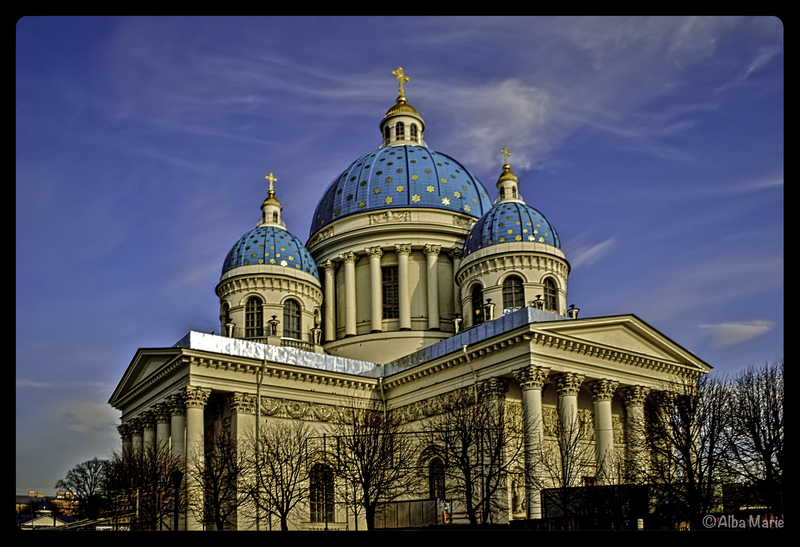 The Trinity Cathedral with its beautiful blue domes is only one of many, many beautiful buildings found in Russia’s centre of culture. You can wander the streets all day and STILL find beautiful buildings and elegant boulevards and magical cathedrals, even far from the centre. Aside from Paris and a few other large (and lucky!) European cities, most of the continent’s finest cities lose some of their splendor a short walk from the centre. Here, the beauty lives on. Not only that, but the city is alive with bustling streets interspersed with peaceful parks, busy churches with weddings spilling out on their lawns, cafes and restaurants bubbling over with charm and vivacity. The Russians are stereotyped as cold and hard and rude, and while that may be true of the lady selling metro tickets (but let’s admit, anyone forced to spend uninterrupted hours in a tiny box underground making repeated sales would be a bit charmless), once you get past that hard exterior, the Russians can be quite fun, certainly hilarious, and even adventurous (or is that recklessness?). No matter; a sojourn to discover Europe’s finest art, cultural and religious centers cannot be complete without a visit to St Pete. It is hands-down one of Europe’s most beautiful cities. And as a teensy tip–one can avoid the tedious visa process by visiting on a designated tour (usually by cruise) for up to 72 hours without a visa.